2. A scientist releases a brick of mass 2 kg from a height of 5 m from the ground. What would be the momentum of the brick right before it hits the ground? 3. The momentum of a moving car is 300,000 kgms-1. What would be the car's new momentum if its velocity were doubled and its mass were tripled? 4. A trolley P of mass 2 kg moved with a velocity of 5 ms-1 collided with a trolley Q of mass 5 kg moved with a velocity of 2 ms-1 in the same direction. Find the momentum of the system after collision. 5. Which of the following vehicles' working principle is related to the Principle of Conservation of Momentum. 6. A lorry of mass 5000kg moved with a velocity of 40 ms-1. The lorry was then collided with a car of mass 1500kg at its back. The car was moving at a velocity of 35 ms-1 before the collision. After the collision, both vehicles attached and moved with a velocity v. Find the value of v.
7. A bullet of mass 30g is fired from a gun of mass 2.5kg. The speed of the bullet was 50 ms-1 when it was coming out from the gun. Find the speed of the gun recoiled. 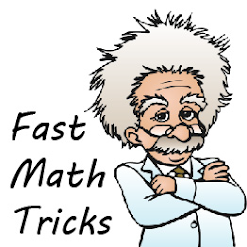 move with uniform speed in a straight line. decelerate and finally come to rest. decelerate and then move at a lower uniform speed. 9. Diagram above shows a wooden block is moving at 5 ms-1 on a rough surface. The magnitude of the friction is 10N. What will happen to the wooden block if it is pulled by a 5N force? Its speed will remain unchanged. 10. 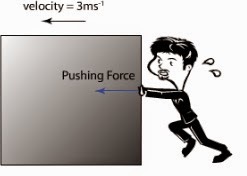 The diagram shows a man pushing a box. The box is then moves with a constant velocity of 3 ms-1. Which of the following statement is true regarding the situation? The net force acting on the box is zero. The friction between the box and the floor is lower than the pushing force.